Visit my Crooked Trails Learning store store at the Teachers Pay Teachers, using the link below! Here is a sampling of the products in my TPT store. You can click on any of the products in my store and see previews of the pages included in each worksheet or study guide. You can also find my FREE products. At the TPT website, my store is called Crooked Trails Learning. 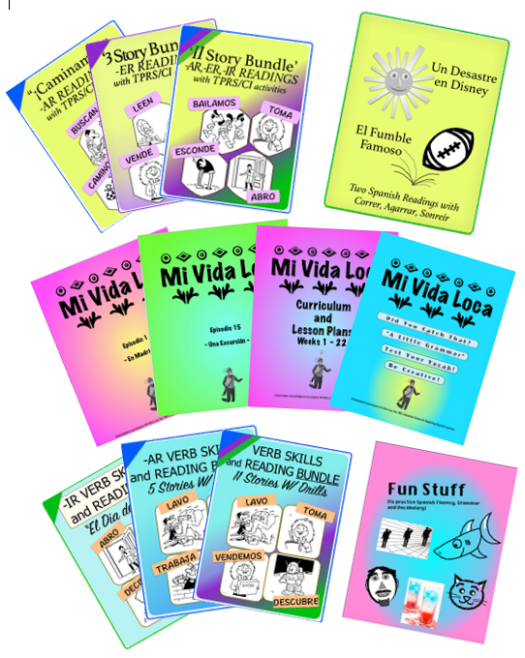 But there are hundreds of Second Language Products, by other teacher-authors, which you can also check out at the TPT website.